Following up on my previous post and a conversation I had with a colleague, I thought I’d share an analogy with you guys. 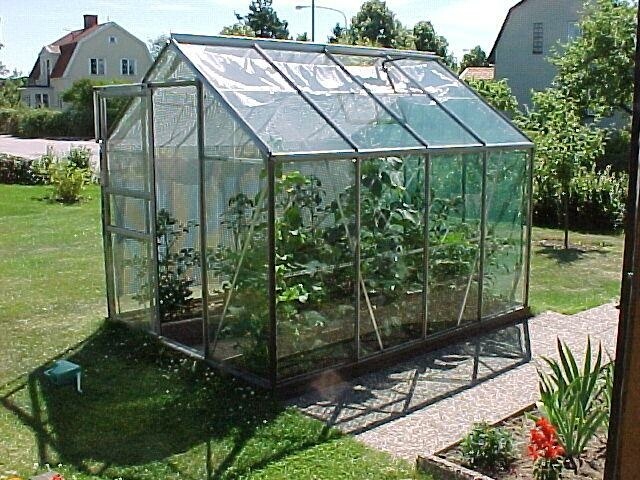 Yup, it’s a green house. And it’s a transmedia project at the same time. What you need to do is build a stable structure that can hold everything you want to grow and create. In a transmedia setting, this would be the story world, where you know the limitations because you’ve built it yourself. Within this structure, you need to put in place suitable soil where everything you want to grow should be able to grow – in a transmedia project, this would be the narrative superstructure, the thing you use as foundation. A stable and nourishing foundation that will let your things grow as they are intended to grow. Now it’s time to plant what you want to plant – the stories, the characters, the interactions. If you want, you can already open the door and let other people in, hand them tools and seeds and let them contribute and help you out with your work. Also, remember to choose wisely the different flowerpots and bowls and chalices and trays you want to plant your stories in. Use the kind of gear that make sense. Don’t use a small pot for a big plant, don’t use the wrong media platform for a story that doesn’t suit it. Now, remember to fertilize the soil – do proper marketing, connect with the target audience, make sure there is a lot of interesting content to talk about – and water your plants and stories. That is, don’t let it go dark, but make sure you have a strategy for keeping people interested and coming up with new, relevant content with regular intervals. With everything in place, with the sun out, with everything growing as planned, just maintain it all. Nourish that which needs to be nourished, remove any pests or moulds that threaten your creations. Then, harvest. And share what you’ve harvested with the ones who’ve helped you plant it all. Take the accolades, take the awards, take the full-bodies stories and the eternal characters, and celebrate it all.